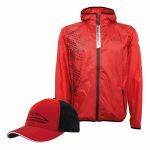 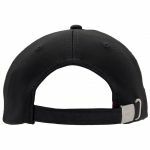 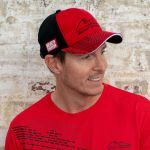 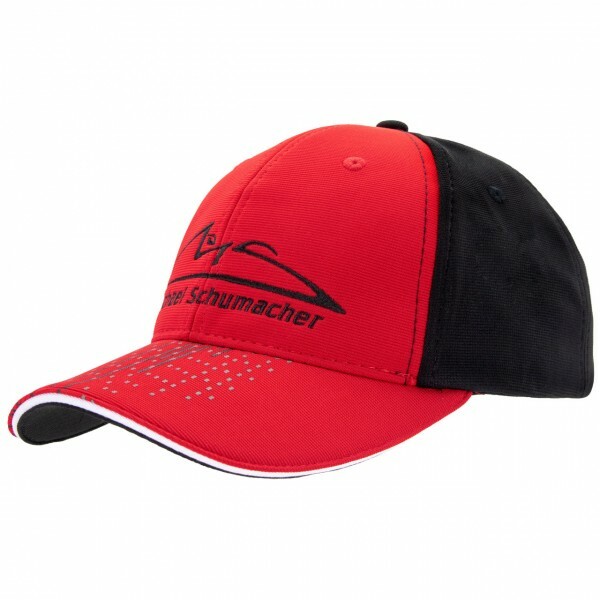 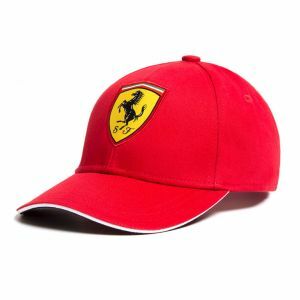 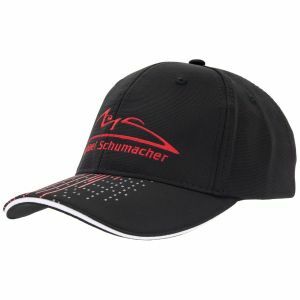 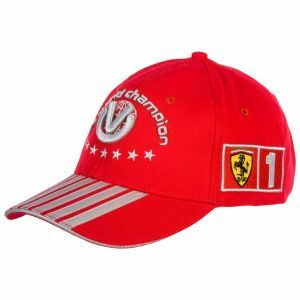 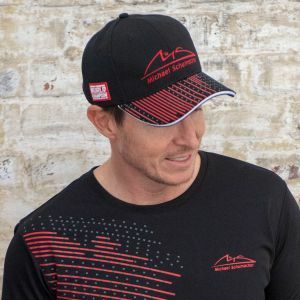 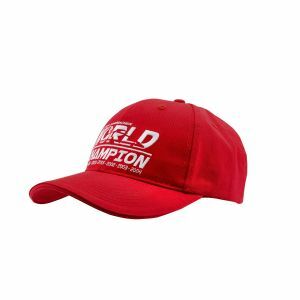 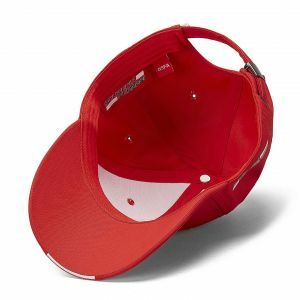 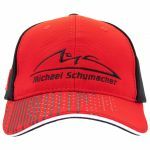 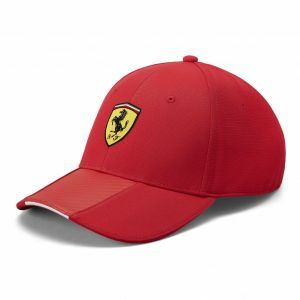 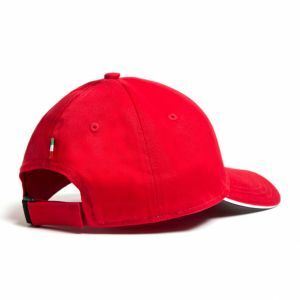 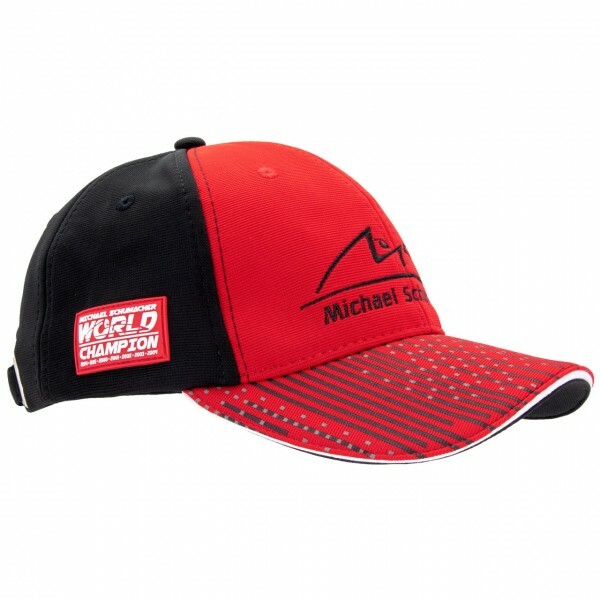 The red and black Michael Schumacher Cap has the typical design elements of the 2018 Speedline collection. 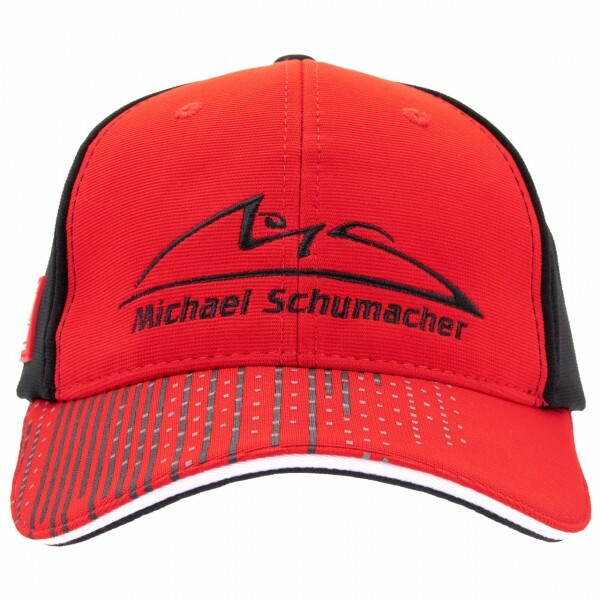 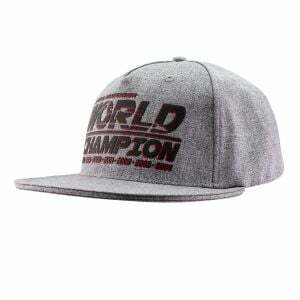 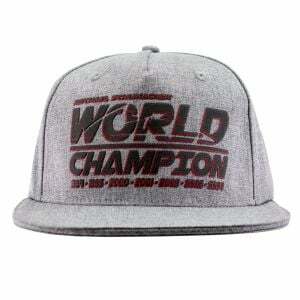 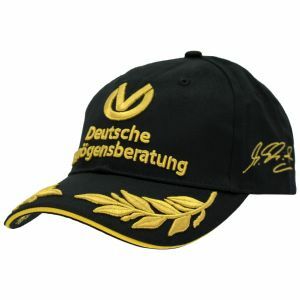 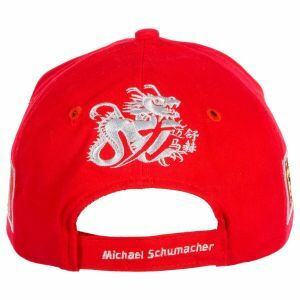 The Michael Schumacher logo is embroidered on the front of the cap. 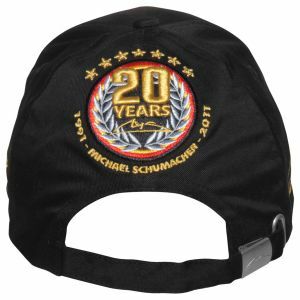 A patch with the Michael Schumacher World Championship Titles is stitched on the side.